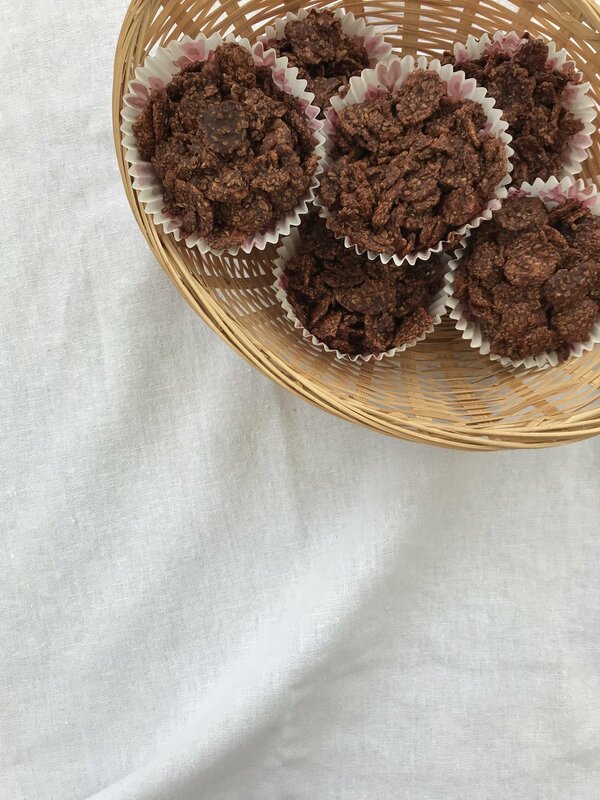 Chocolate covered cornflake cakes are a vital component for pretty much any Easter celebration, but for those searching for something a little more nutritious amongst the conventional confectionary, I've created these cornflake cakes with a difference and, as always, are gluten free, vegan and made with 100% natural, unrefined ingredients. 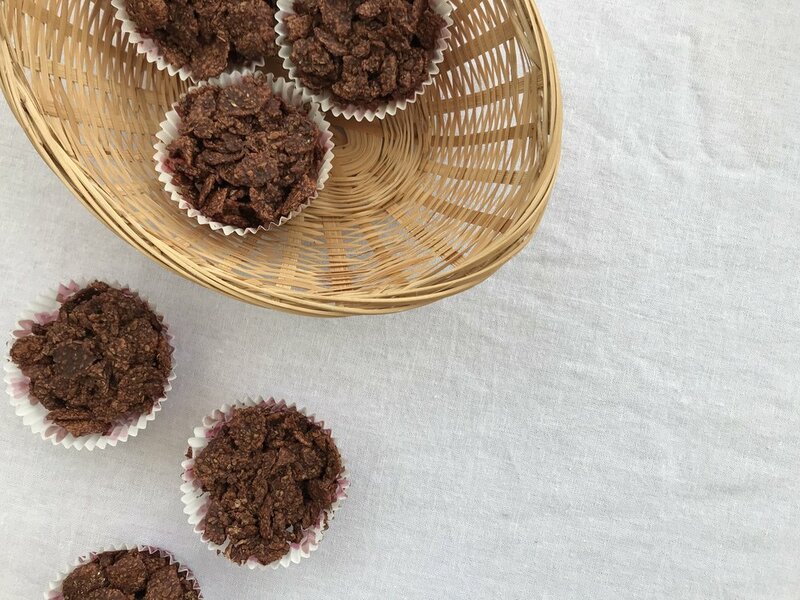 Whilst many might prefer to avoid the sugar rushes and general hyperactivity of the Easter holidays - for either themselves or young ones around them - these have a much subtler sweetness, are high in fibre and can be customised with any of your favourite superfoods, adaptogens or other nourishing ingredients, like dried fruits or cacao nibs. High in cacao, they are also super energising, so whilst everyone else is in their food coma or sugar crash, you can enjoy a natural little high of your own. + Add mini eggs to replicate traditional Easter nests, or instead, to keep things as natural and nourishing as possible, replace with nuts, seeds, fresh berries, dried fruits or whatever else you fancy. Make a double boiler by placing a heatproof bowl over a small / medium saucepan with about 2-3 inches of water in it. Bring to the boil then reduce to simmer and add the coconut oil or cacao butter. Allow to completely melt, then remove from the heat and whisk in the cacao powder, syrup of choice, flaxseeds or chia seeds, if using, vanilla and salt. Stir to combine, then add the flakes. Add any of the optional ingredients, if using, and stir a final time to combine. You can use a gentle mashing technique to slightly break down the flakes, if you like. This will just encourage the flakes to set more closely together and will intensify the crunchiness. Next, spoon the mixture into a case-lines muffin / cupcake tin, using about 1 or 1.5 tablespoons per case. Gently press down on the mixture with the back of a tablespoon or spatula. Place in the fridge or freezer for 30 minutes to set and stiffen. Store either in the fridge or in an airtight container. Decorate with nut butter, fresh or fried fruits, raw chocolate chunks or eggs or even a dollop of something like date caramel or cashew cream.